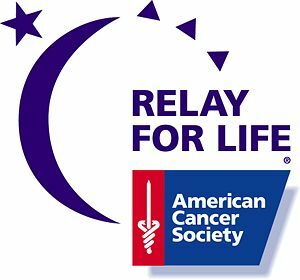 The American Cancer Society is offering an opportunity for businesses and individuals in our community to show their awareness and support in the fight against cancer on Saturday, April 26, 2014. To show their support of the fight against cancer, businesses and individuals can help Paint Our Town Purple by donating $10 to the Relay For Life of Clark County and receiving a decorative purple bow to display inside or outside their home or business, by donating $5 for a purple pig to collect donations, or by selling foot prints for $1 each to display at their business. Businesses can also help Paint Our Town Purple by doing other activities, including purple-themed displays in storefronts, painting outside lights purple or swapping out for purple ones, wearing purple or offering a percentage of sales on Paint Our Town Purple Day. Proceeds will support the American Cancer Society. For more information about how to participate in Paint Our Town Purple or to volunteer for the Relay For Life of Clark County, call Lori Carmichael-Shields at 502-298-2727 or send an email to asapdictation@yahoo.com. The American Cancer Society saves more lives and creates more birthdays by helping people stay well, by helping people get well, by finding cures and by fighting back. For more information, contact the American Cancer Society at 1-800=227-2345 or visit us at cancer.org.